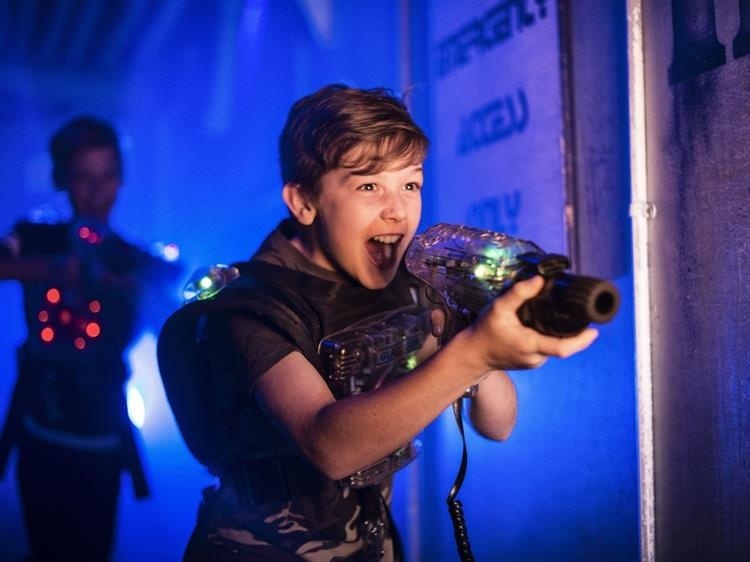 Lasertag is an exciting arena based activity for players aged six and up and is awesome fun for adults and children. Laserfun Cairns has complex strategic game-modes for adult players, or simple zap-the-players mayhem! All this, in a fully air-conditioned venue! It's fun, active, safe and requires teamwork and communication! Laserfun provides Cairns' ultimate indoor lasertag experience. Laserfun's arena is expertly designed to ensure the best possible game-play, in a movie-set style environment. The multiple levels gives the perfect degree of variety and elevation, with a layout of structures and obstacles that maximise free-flowing game-play and reduces time looking for opponents. There are no blind dead-ends and no camping spots! Laserfun's standard games run for 10 minutes, giving you the best value lasertag in Cairns. Laserfun is proud to use Laserforce equipment, manufactured in Australia since 1987. With Laserforce, you can track your stats, level up and unlock acheivements. Best of all, Laserforce allows us to tailor game-modes and team arrangements to suit the individual players. Our team members assess the experience of groups and set up games to ensure maximum fun. Membership gives you your own Laserforce card that will allow you to have your own codename, track your stats, level up and unlock achievements. Your Laserforce card taps to your battle-suit breastplate at the beginning of every match. Everything that happens from then on is tracked against your personal Laserforce codename. Membership is included in our party packages.